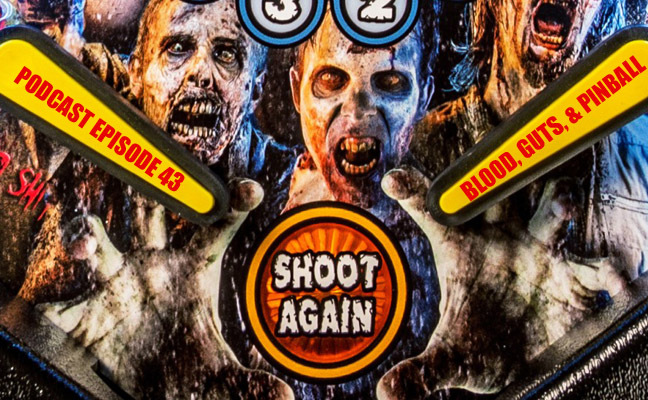 The rumors were true and Stern Pinball has delivered the dream theme: The Walking Dead! Preston and Patrick give you their impression on the big reveal and talk features and pricing. After some discussion on the newest pinball to hit the market, Preston talks to longtime pinball insiders Mike Pacak and Rob Berk to discuss the 30th anniversary of Pinball Expo and what will be in store for the longest-running pinball show in the country. After some gameroom updates, the guys discuss some unique ideas for gameroom themes. Hope you enjoy the show!